Situated on more than 40acres of property, the Darien Carmelite Campus houses the Society of the Little Flower offices, the Carmelite Provincial offices, the National Shrine Museum of St. Thérèse, Carmelite Gift Shop, Carmelite Spiritual Center, and the Carmelite Meditation Garden. The Darien Campus is very active and frequented by 225 plus people each day attending daily Mass and visiting the surrounding Campus grounds. In 2014, the Society began to identify areas of planned expansion and improvement to accommodate the number of worshipers drawn on a regular basis. Starting with a generous donation, the Society of the Little Flower renovation is almost complete. Charles Vincent George Architects was retained to lead the Society through the planning and design process. ICI was subsequently hired to work in tandem and provide cost estimating and construction management services. With ICI's supervision and guidance, the project was able to stay on course throughout their 13-month long construction timeline. 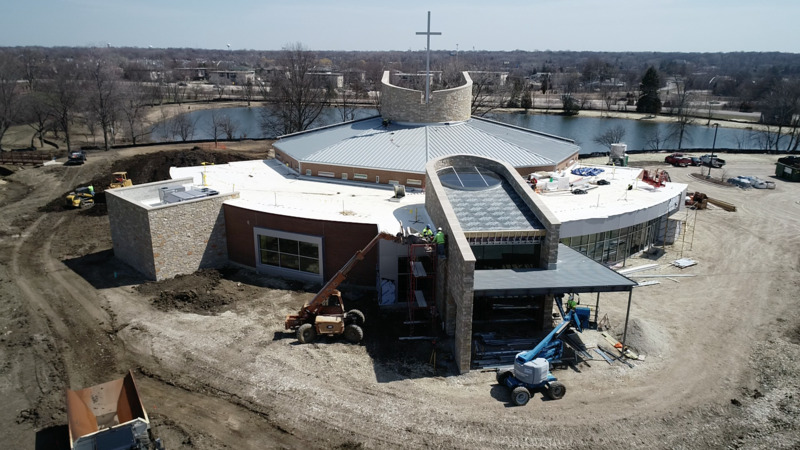 Final touches still to be completed include flooring and lighting trims, the exterior landscape and spiritual paths, as well as the recent addition of prayer areas on the site. These will comprise of statues and seating areas for St. Thérèse of Lisieux, St. Teresa of Avilia, St. Louis and Zelia Martin. The Grand Opening will be a private event with all involved this October. Click on the link to see Society of the Little Flower in its finishing stages!